"I have SO many ideas – but I end up not doing anything because I lack focus, and I’m so all over the place." Ah yes – FOCUS. One of the hardest things to achieve in this world that is filled with a million and one distractions. 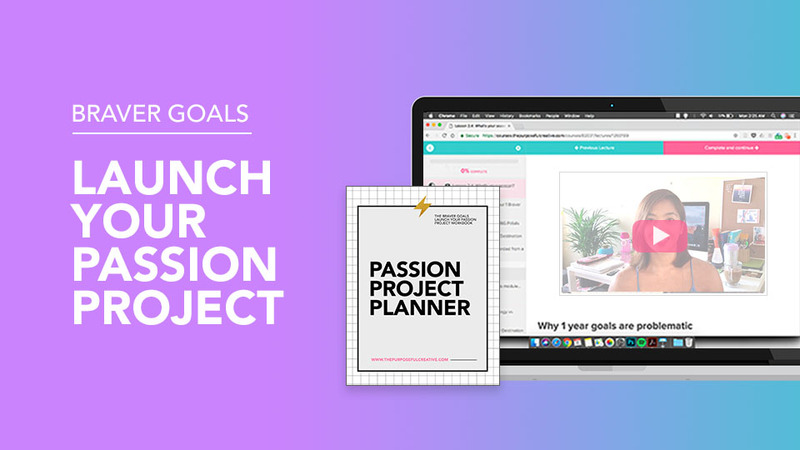 I recommend Braver Goals Level 2: Launch Your Passion Project. This has several modules that can be completed in 5-8 hours (or 1-2 weeks, if you space out your learning sessions into 15 to 30-minute increments a day). If you’re looking for guidance and structure as to how to focus, get more organized, and manage a project in a strategic manner -- THIS IS IT. Enrollment ends July 31, 2018.